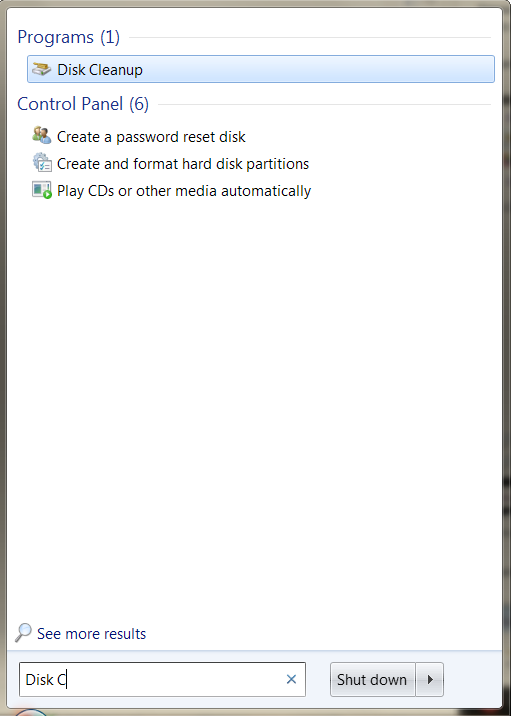 Even with the ever larger hard drives, it is suggested that you purge your computer of unneeded files such as temporary files, recycle bin files, and temporary internet files. Click [Windows] + [R] to open the Run dialog box. Type "Cleanmgr.exe." or "Disk Cleanup"
If it pops up as shown in the picture, select "Disk Cleanup"
Wait for the application to run its check on files. Select files you wish to clear and actions you wish to take. None of these files will damage the system if removed. But there may be webpages you purposely downloaded or game statistics that you wish to keep. Click OK to confirm and let the cleaning begin.